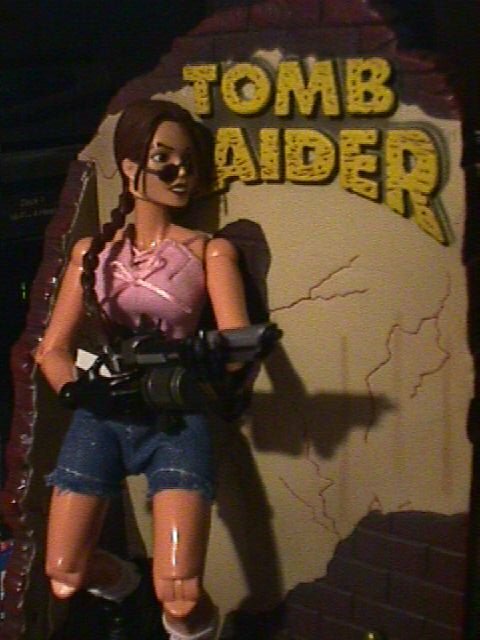 Here we have famed archeologist and computer-generated Babe Lara Croft. Lara's cute as a bunny and tough as nails, too! Her fans are spread across the internet, devoting hundreds of sites to her adventures and image. The body is a Dark Phoenix, with Doctor Doom's feet and Black Widow's hands. 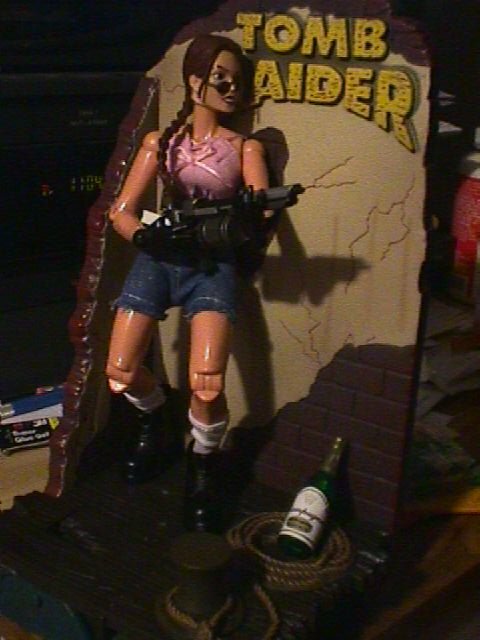 She's wearing Ken's hiking boots, Bob Hope's socks, Daisy Duke's Daisy Dukes and slutty pink top. 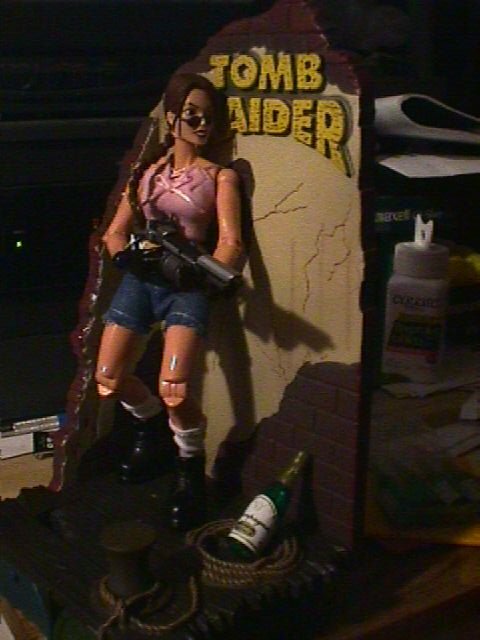 The spear-gun is hers, cut off of the vinyl statue. (I'm going to have to re-paint the handle of it.) The .45 automatic in the front of her belt is courtesy of The Ultimate Soldier.